Integran | LGIP Reviewer Panel: Integran on-board… Again! Integran is pleased to announce that we have once again been appointed to the state government’s panel of pre-approved LGIP reviewers. 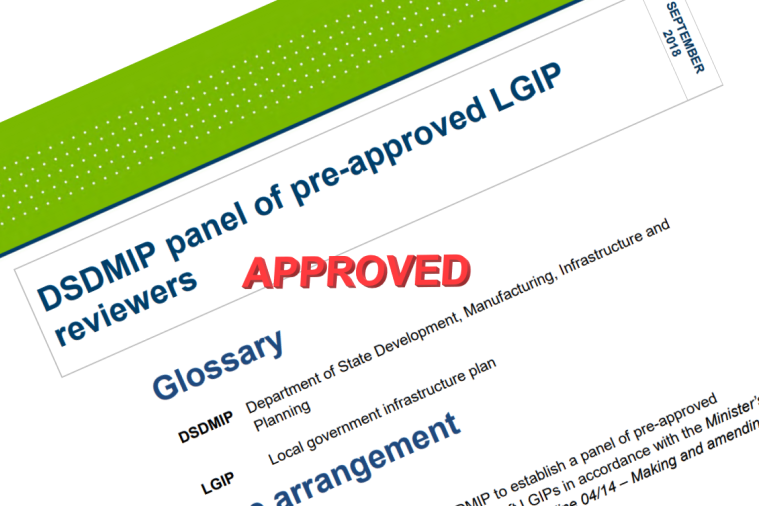 The Department of State Development, Manufacturing, Infrastructure and Planning (DSDMIP) has established this panel so that local governments can select a pre-approved consultant with suitable qualifications and experience to undertake the review of draft Local Government Infrastructure Plans (LGIPs) in accordance with Ministers Guidelines and Rules (MGR) and Guidance to the MGR. Since our first acceptance onto the Panel of Approved Providers, Integran has successfully prepared or reviewed close to 20 LGIPs, from the Torres Shire to the City of Gold Coast. We pride ourselves on the high quality of the work performed and approach the LGIP preparation and review process as not just a ‘tick-box’ exercise, but also to ensure that Council is left with fit for purpose outcome, able to be implemented and which assists them with their obligations under the Local Government Act for Financial Sustainability. Under the MGR, a consultant who prepares the LGIP for the Local Government can also act as an appointed reviewer. As an approved LGIP reviewer Integran can both prepare an LGIP and undertake the review. For more information on the LGIP preparation and review requirements of the Legislation, please do not hesitate to contact us.